Home/News & Events/Up For The Challenge…ASGCO®’s Mini-Skalper® IV Solves Major Carry-back Issue At This North-Western Sand and Gravel Facility! 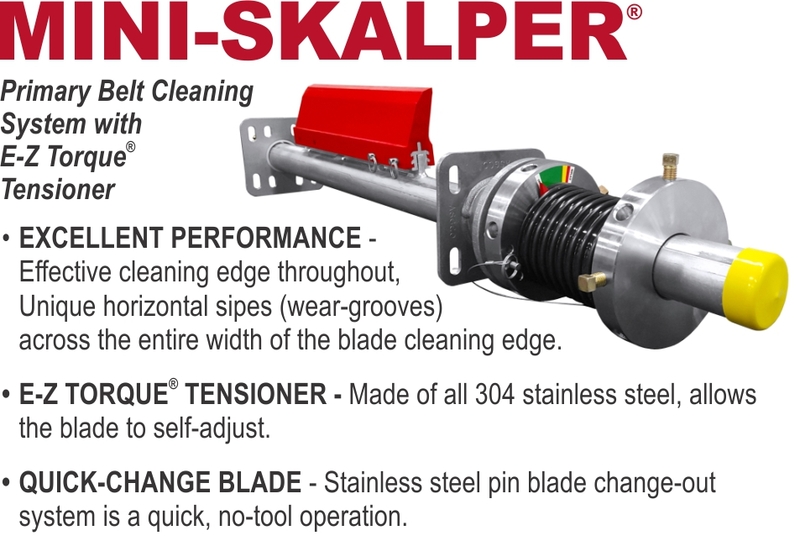 was to install ASGCO®’s Mini-Skalper® IV system with E-Z Torque® Tensioner. This pre-cleaner is designed for small diameter pulleys where space and size is a factor. less then 16” (400mm) in diameter or tight locations. the need for continuous high pressure cleaning was eliminated. promotes a much safer working environment for its employees.